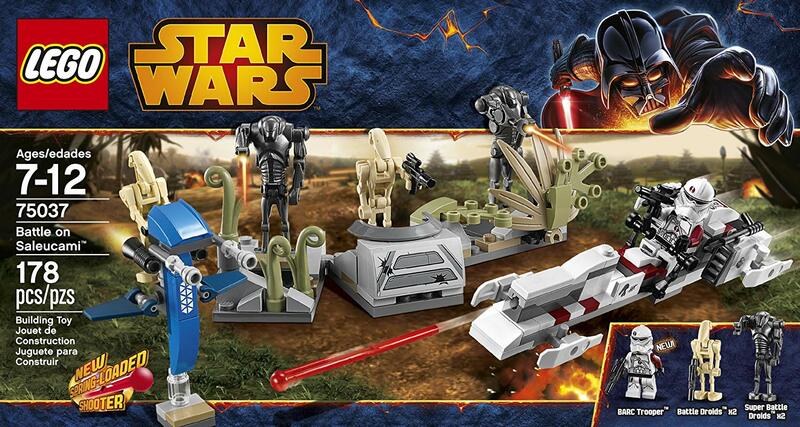 The Lego Star Wars Battle on Saleucami is one of the new Star Wars sets released in March 2014. This set retails for $14.99 and is available on Amazon. Below is a brief video review and my remarks regarding the set. This set is essentially an upgraded battle pack with the added feature of a target practice playset. This is currently the cheapest set to get the spring-loaded shooter, which is one of the coolest bricks that Lego has released. The speeder is well-designed with the skis/fins contributing to the more dynamic look of the model. The olive green grass stems are exclusive to this set, and it’s useful in many creations that need foliage. If only the set had more than one unique minifig, then it would make this a true gem. Nevertheless I still highly recommend this set both for the great play feature and useful parts. I Think that sells me on it now :) . Was on the fence about it before – the set looks awesome but like you had pointed out the lack of unique mini figs just had me second guessing.